If you are stuck in the unfortunate situation of facing a house repossession and do not know where to turn then give us a call and we can stop your house from being repossessed immediately. We are specialist property buyers who have helped many people avoid a repossession of their house from lenders. If you are facing house repossession then we will buy your property quickly for cash to allow you to repay the lender any outstanding loans, thus saving you losing all the equity in your house. This is an excellent way to stop repossession of your house and to avoid losing all of the equity that you have worked so hard for in your life. We act quickly to prevent your property from being repossessed to ensure that you are not evicted from your home. Protecting you, your family and the equity in your home is our priority and we treat every case with speed and sensitivity. We can even help prevent repossession of houses where the eviction date is imminent. Even if you think that you have run out of time to stop a house repossession, call us, we have ways of stalling the repossession process to prevent you from losing the benefit of the most important asset in your life. Whatever the reason, we can buy your property from you quickly for cash to prevent your house from being repossessed. We will work closely with you to help you complete a house sale very quickly to immediately stop your house repossession. By quick, we mean the completion of a property sale from a few weeks to just a few days. If you are facing a repossession order, then contact us to have a confidential chat about how we can help you get started with the successful sale of your property. We can also offer you the option to remain in your property even after the sale to help you continue with your normal life. Don’t be a victim of losing everything that you have to a lender. Protect the equity you have accumulated over the years. If you need to move quickly to prevent a house repossession, then make sure that you contact us NOW without delay. 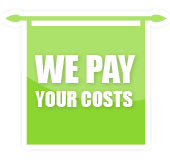 We can give you an instant offer in principle with no obligation to accept, so you have nothing to loose. Don’t let the lender take everything that you have worked so hard for, call us instead to stop repossession now! Remember that if you have been served a repossession notice then waiting and doing nothing will only make the situation worse. It is better to start immediately, so call us on 0161 8774142 today!